We had yet another amazing experience on this boat and with this crew. GREAT for families with younger children (we had 5 kids ages 7-9). 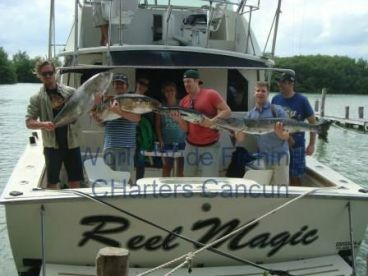 The fishing was great and the captain really worked with us to be sure the kids all had a great time (big kids too!). THANK YOU! We will be back next year! Thank you very much for all your comments We will be waiting for you next year to go Deep Sea Fishing with you and your children We will be delighted to have you and your family again See you soon! We had a wonderful trip. 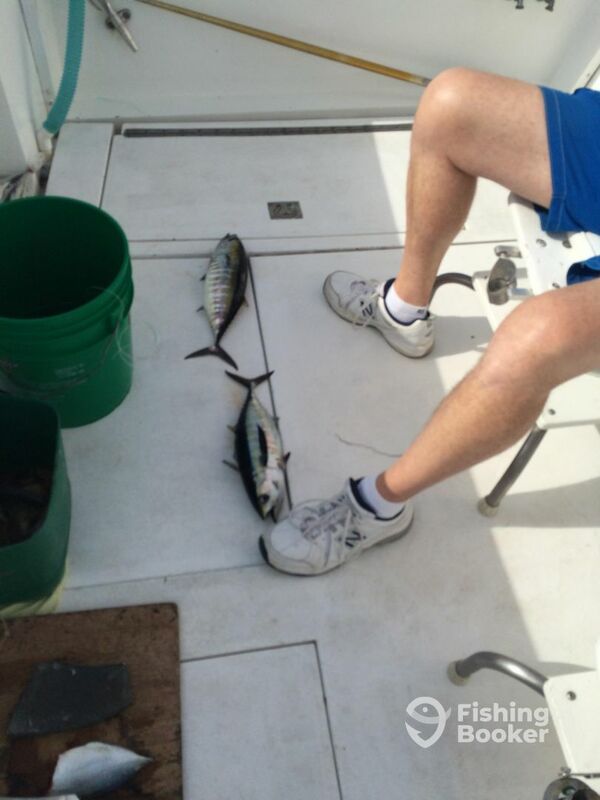 Ivan and Christian put on fish and we caught them. We fought a huge something for an hour only to snap the lone. That’s why it’s called fishing. Great service. Great attitudes. Great time. Our overall trip was a success. 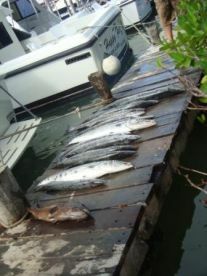 Captain Arturo and Chico did a great job of putting us on the fish. The boat itself, although large enough to handle the rough waters, was lacking in comfort in regards to seating and the restroom. The only real negative about the trip was the barrage of upselling before we left the dock. Immediately up arrival they began trying to upgrade us to a larger boat. 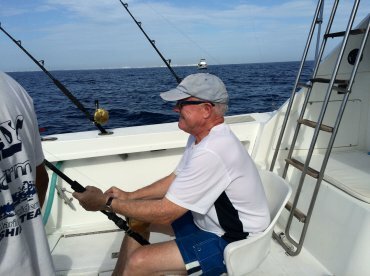 We booked a four hour trip which is only two hours of actual fishing since they require an hour to get out to the fishing grounds and another hour to return. We ended up extending the trip prior to departing for half of what it would have cost when booking. Also, they require you to stay seated while reeling in the fish. Before we departure we like to let our customers know all the logistics, Fishing procedures, weather conditions and some recomendations about their Fishing trip. 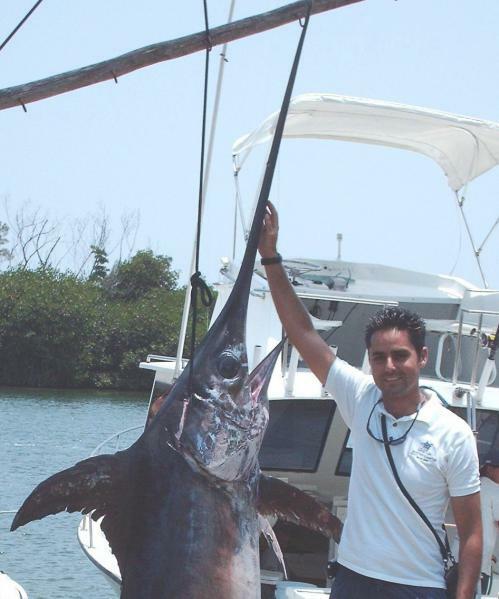 We always recommend to let our Crew to prepare the equipment and to set the hooks. You will do all the work to reel them in taking turns. 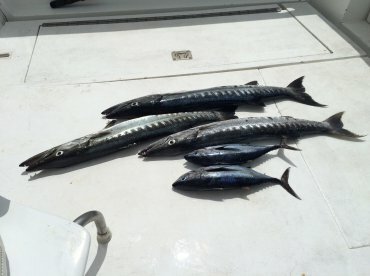 That way we make sure to have more chances to catch fish and we avoid losing equipment, but if you know how to set the hooks and you want to do it yourself, we always tell everyone that you only had to ask our Crew and they will let you do it. Also,we saw the need to let you know that we had bigger boats available, specially because we had windy days and choppy waters. So for you and your family, to be more comfortable and with more space, we offered that recommendation but only as an option. Besides, you booked your trip for 4 hours. 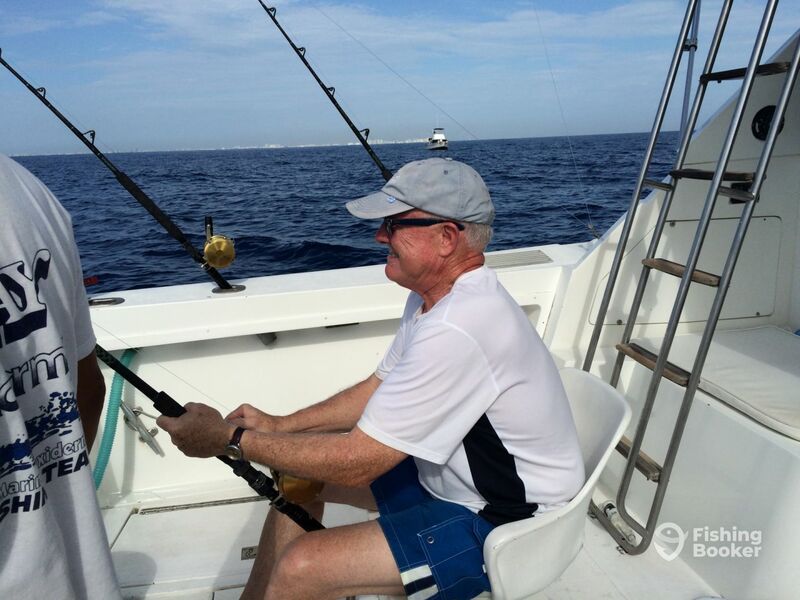 Most of the time our Customers dont know that it takes between 45 minutes and one hour to get to the fishing spot, so if you booked your trip for 4 hours, you will have 2 hours of fishing. 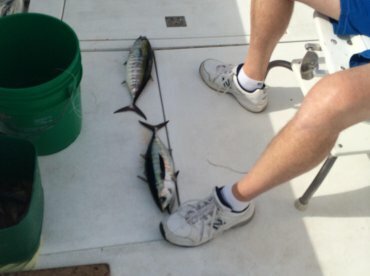 You would fish for arround 4 hours and will have double chances to catch more fish.